Jon Snow’s Melbourne Cup campaign is over after a disappointing Caulfield Cup performance. New Zealand stayer Jon Snow will miss the Melbourne Cup for the second year in a row with the five-year-old on his way home. 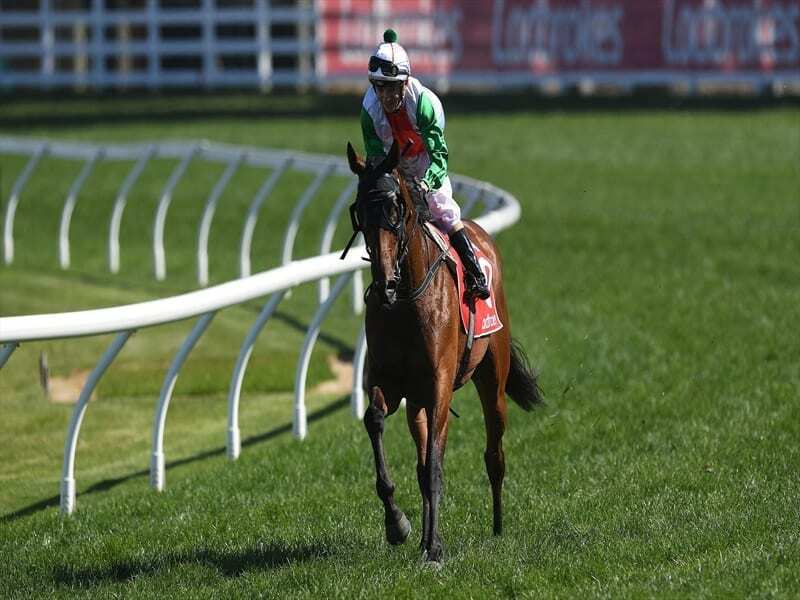 The 2017 Australian Derby winner finished last in the Caulfield Cup with trainers Murray Baker and Andrew Forsman pulling the pin on his campaign, citing a lack of suitable options. A year ago, Racing Victoria stewards refused to pass him to run in the Melbourne Cup with vets determining he was lame. Jon Snow had to be reloaded after breaking through the barriers before Saturday’s Caulfield Cup. “Bursting through the gates didn’t help,” Forsman told NZ Racing Desk. “”Damian Lane said he came out of the gates the second time and felt like a bit of a stunned mullet. Forsman said Jon Snow had pulled up well and was in top order but the trainers would now turn their attention to the autumn. “He’s great, he looks outstanding,” Forsman said. “He flies home on Wednesday night, so he will be back in New Zealand on Thursday morning. “There were just a lack of options for him heading forward. In terms of weight-for-age, basically it was the Emirates on the last day of the carnival. “That is going to be very competitive and looks another level-up, with those internationals, from what he competed against in the Makybe Diva. So that was always a hard race to wait around for. “If we considered a handicap he is just too poorly off in the handicaps to be fair to him. Baker and Forsman could still have a runner in the Melbourne Cup with Sydney Cup runner-up Zacada to contest Wednesday’s Group Three Geelong Cup.